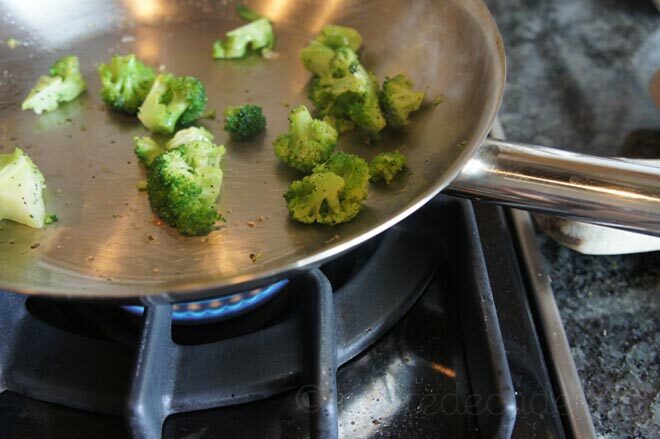 Place your oil in a saucepan over med fire. 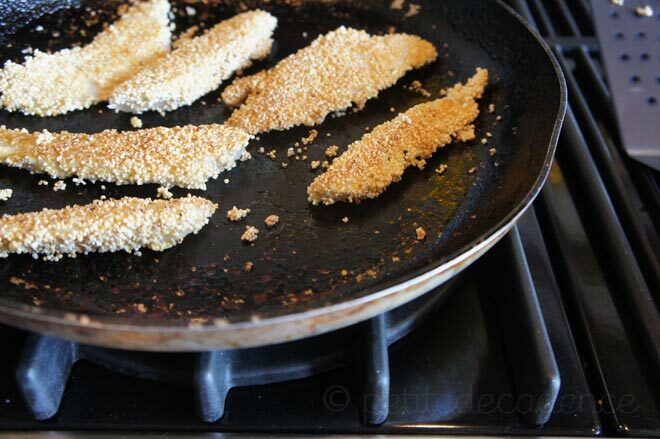 While it heats, cover your fish sticks in the beaten egg, and then in the amaranth, patting with your fingers to make a thick crust. Season with salt and pepper and place on the pan for frying, turning them over only once. 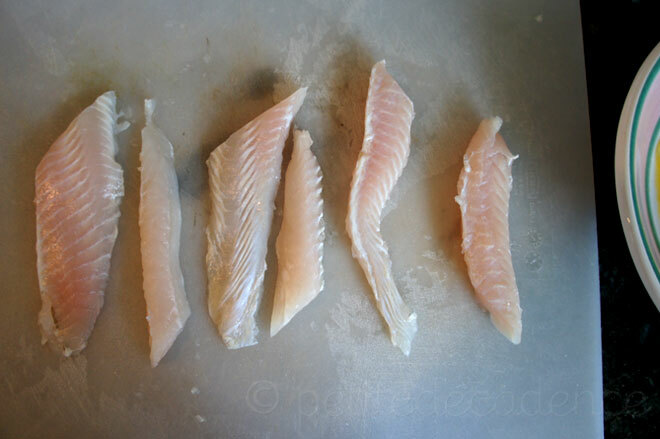 (You can turn them over once the sides have cooked and only in the middle there’s raw fish). While the fish cooks, place the olive oil in another sauce pan, and heat over med- high until it begins to smoke slightly (not from burning!) 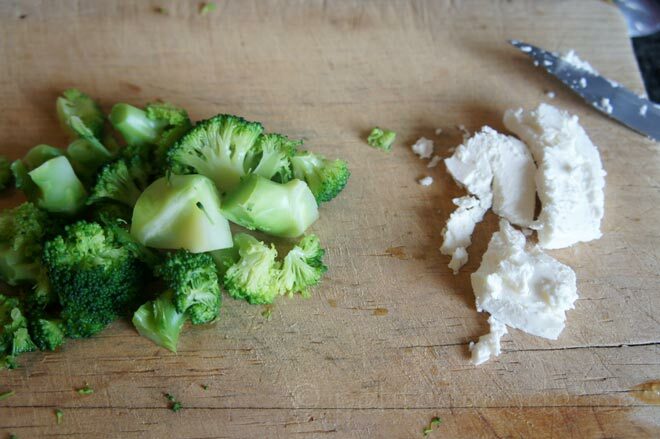 place the broccoli in and quickly toss it around until it starts to golden-brown around the edges. Turn off heat, toss in the arugula, season with salt and pepper, and add the goat cheese, mixing slightly to keep it from melting. 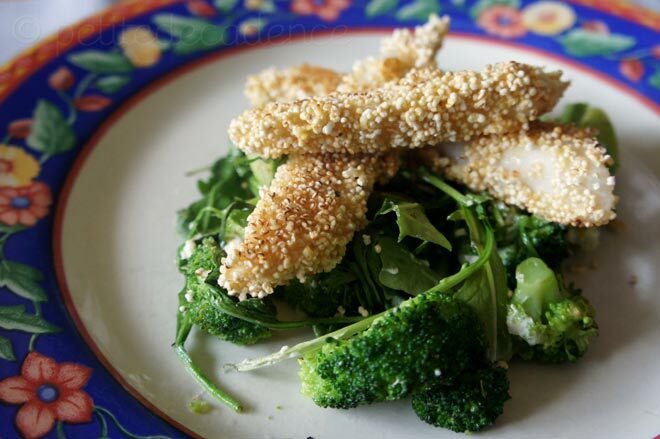 Place a bed of this salad on a plate and top it with three fish sticks. Serve immediately. 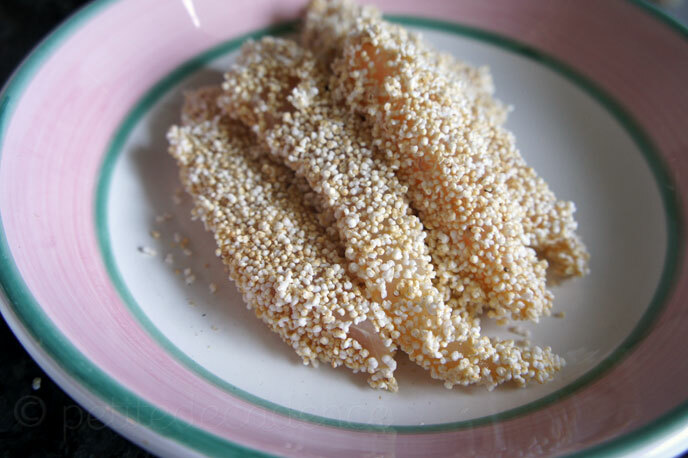 This entry was posted in Fish, Recipes, Salads and tagged amaranth, cheese, fish, healthy. Bookmark the permalink. i sooooo wish i were home! I am so proud of my sister! You don’t used “popped” amaranth grains, do you?